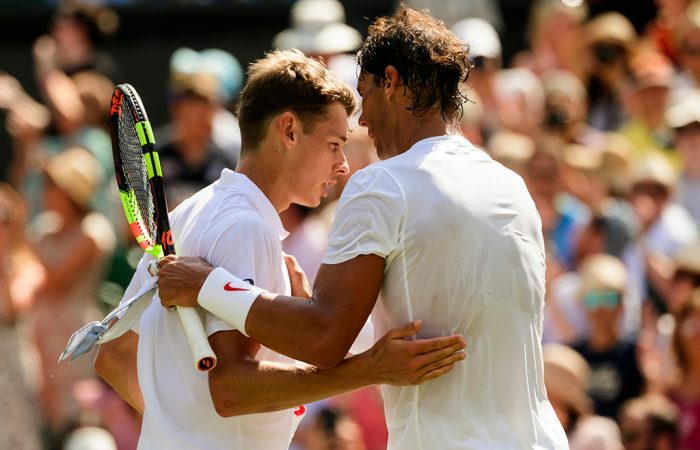 Rafael Nadal has already knocked out fellow Australians James Duckworth and Matthew Ebden without dropping a set and defeated De Minaur 6-1 6-2 6-4 at Wimbledon in 2018. 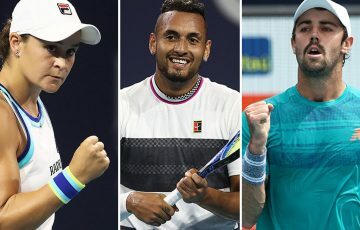 Six months after being handed a Grand Slam lesson by Rafael Nadal, Aussie fighter Alex De Minaur is hoping to turn the tables on the Spanish great. The 19-year-old Sydneysider dug deep to topple Swiss qualifier Henri Laaksonen in a five-set thriller to book a spot in the Australian Open third round for the first time. His next challenge is a Friday showdown with Nadal, who comfortably accounted for De Minaur 6-1 6-2 6-4 in their maiden meeting at Wimbledon last year. 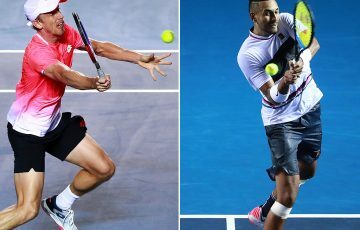 The match-up is the most anticipated between an Australian teenage challenger against an all-time great since Andy Murray denied Nick Kyrgios in the Melbourne Park quarterfinals four years ago. 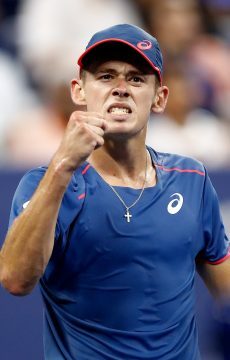 And De Minaur is well aware of the enormity of the task confronting him. “Whenever he steps out on court, he always has that presence. No one can take that away from him,” De Minaur said of the 17-time Grand Slam winner. Seeded 27th after only cracking the world’s top 100 last June, De Minaur is riding a seven-match winning streak that includes his first ATP title in Sydney and has garnered support with his fighting spirit. 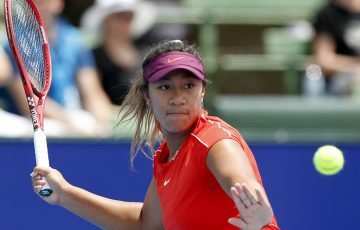 “Every time I step out on court, I leave 150 per cent out there. That’s the bare minimum,” he said after battling to a 6-4 6-2 6-7(7) 4-6 6-3 triumph over Laaksonen. De Minaur is still getting used to the spotlight that comes with being Australia’s top-ranked male player but says he keeps a low-key routine. “I still go have an acai bowl in the morning. I do the same things a 19-year-old kid would do. Nadal has already knocked out fellow Australians James Duckworth and Matthew Ebden without dropping a set and said he wouldn’t be taking his younger opponent lightly. “He’s a great player, young, playing with big confidence after winning matches. It will be a tough one,” the 31-year-old said. 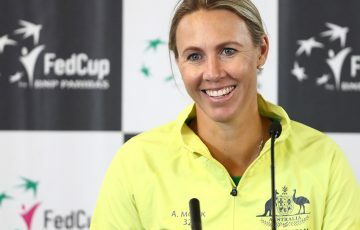 De Minaur, who spent time growing up in Spain, said he recalled watching Nadal win his sole Australian Open title on television in 2009. “This is what you play for, to play the biggest guys and the best guys at the top of their level on the biggest stages,” he said. Nadal or De Minaur will face Tomas Berdych in the last 16, after the Czech beat Diego Schwartzman in four sets on Friday.